Quality results starts with quality sample collections. You provide the highest quality and advanced collection equipment, but how do you ensure that each collector uses your collection devices correctly to achieve the optimum outcomes? PAMS provides you with the complete management solution that focuses on best practice and correct procedure for every sample collection. PAMS ensures that your sample collection devices are used correctly and efficiently. Now you can offer labs a complete pre-analytical solution that manages every aspect, and every scenario of pre-analytical service delivery and seamlessly connects with clinical and laboratory processes and systems. We exist in a fiercely competitive laboratory market space, where pressure is on bottom-line performance. Laboratory supplies is one of the most visible of laboratory operational expenses, and irrespective of the quality of your supplies, you are always vulnerable to being commoditised and undercut by the competition. As laboratories look for further opportunities to improve operational efficiencies, the pre-analytical process – the process outside the lab walls, looms as a high potential for laboratories to not only reduce bottom-line costs, but also to create new competitive advantage. Integrating PAMS with your pre-analytical collection system can provide you with a new and compelling value proposition. No longer offering just consumable supplies, you are now offering a complete solution that can remove laboratory costs and improve services. Your existing value-added customer support and training services, can be delivered as active elements of your PAMS-powered pre-analytics solution. PAMS can be tailored to your own corporate requirements and styling, and you can provide your own unique solution and services to each pre-analytical scenario. PAMS has been designed to lead best practices and to deliver high-quality pre-analytical processes, but brings solution flexibility that enables you to stamp your own mark on your corporate solution. Using the PAMS Training Centre, your training programs can become an active part of each of your customer’s quality and compliance programs. You can deliver training services directly to your customer’s staff, regardless of where and when it is required. The PAMS Training Centre allows you to build and deliver self-paced multimedia training programs to your customer’s staff regardless of where they are located. Accessible from their mobile device or via the Web, you can deliver scheduled training programs any time and place required. PAMS maintains the training and assessment records required for quality assurance and regulatory compliance, and allows you to monitor each participant’s progress and assess attained competencies. 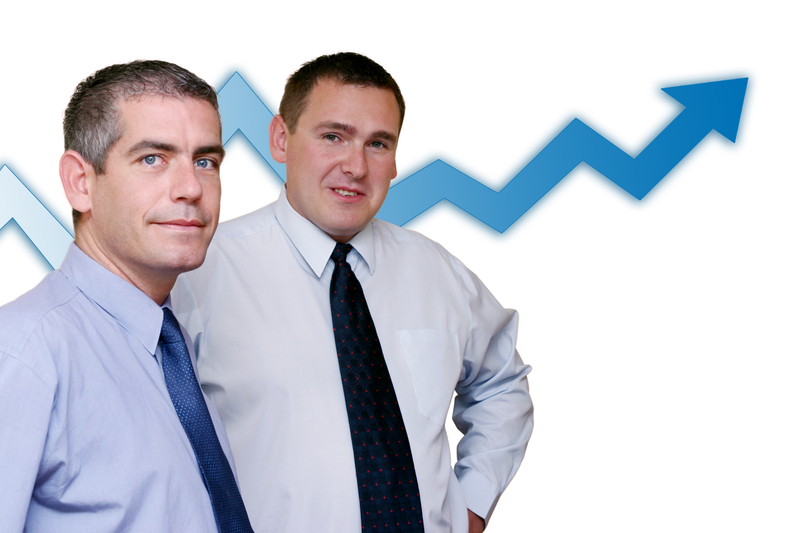 The PAMS Training Centre allows you to design and manage customised training programs to each customer’s requirements. PAMS embeds business rules that you define to ensure that the optimal number of samples are collected in the required sample containers, to satisfy lab testing requirements. 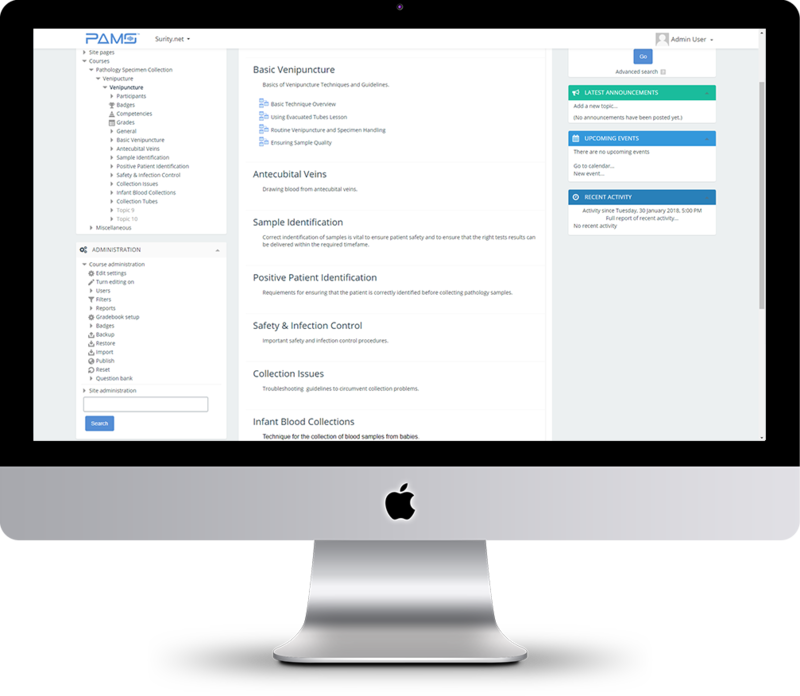 PAMS actively guides each collection to ensure that collection equipment is used most efficiently, tracking every inventory item used in each collection episode. When integrated with your sample collection system, PAMS provides real-time inventory monitoring and management, which can facilitate more efficient inventory control and logistics.